You can search for birthdays by creating a custom report or performing an Advanced Search. When doing so, you can set the filter criteria to ‘Date of Birth’. 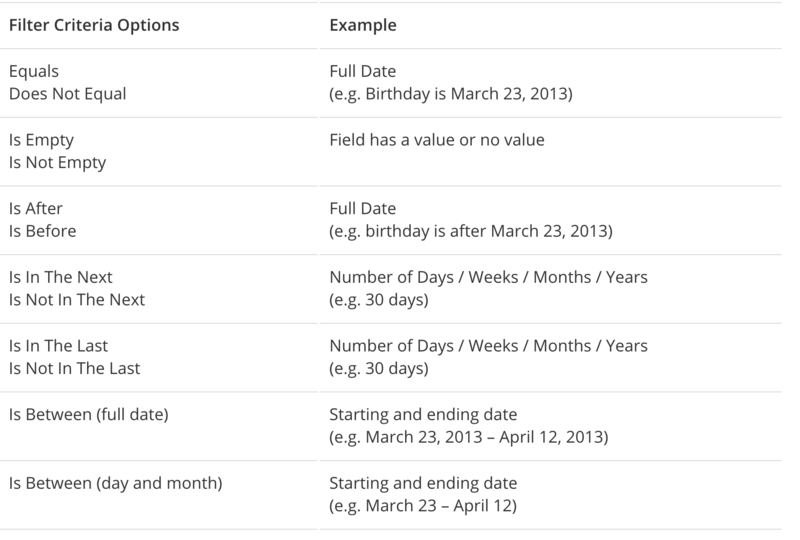 Simply generate the report to display a list of birthdays for your account.